Steven M. Eidelman addresses a session in Israel on people with disabilities. Shira Ruderman speaks at the beginning of the conference. She is a trustee and director of Israel Programs at the Ruderman Family Foundation, the principal funder of Israel Unlimited. Participants from Israel's ministries of Health, Social Welfare and Economic Development. 9:31 a.m., Feb. 19, 2016--Israel estimates that more than 10,000 people with disabilities live in institutions and 15,000 live in group homes and hostile settings. Unlike in the United States, many people with disabilities in Israel live predominantly separate lives  discriminated against in housing, the workplace, schools and even synagogues and mosques. In February, Israel Unlimited, a program of the American Joint Distribution Committee, a 100-year-old nongovernmental organization (NGO), set out to help change that. They invited representatives of the University of Delaware’s National Leadership Consortium on Developmental Disabilities (NLCDD) to Ma’aleh Hahamisha, west of Jerusalem, to work with leaders in government agencies, funding agencies, NGO provider agencies, and community and religious organizations to help them understand and address the roadblocks faced by people with disabilities and their families. Steven M. Eidelman, H. Rodney Sharp Professor of Human Services Policy and Leadership and NLCDD faculty director, and Nancy Weiss, assistant professor in the Department of Human Development and Family Studies and NLCDD director, along with staff members, hosted a day-long seminar for 170 national leaders and an intensive week-long leadership institute for 36 senior government and NGO officials. 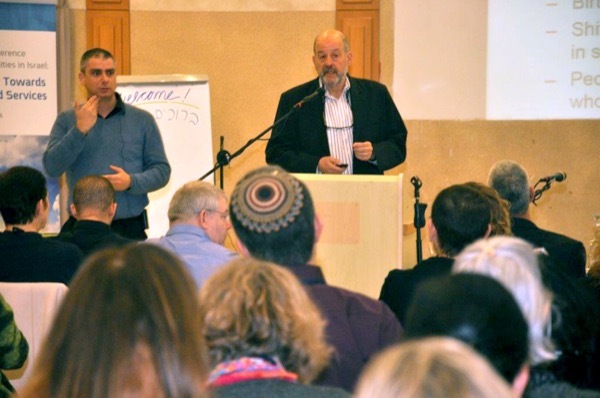 The seminar highlighted best practices in the U.S., which have enabled the country to improve the quality and coordination of disability services, in an effort to help Israel accomplish the same goals. The leaders emerged from the conference with both an understanding of the challenges and opportunities in Israel and an action plan to make specific, strategic changes within their organizations. Participants engaged in highly-interactive sessions focused on a variety of topics related to the shift to inclusion and the necessary transformation of services and supports for people with disabilities, such as creating individualized plans, personal budgeting, independent living, alternatives to guardianship, and addressing systemic changes in employment, relationships, recreation and education. 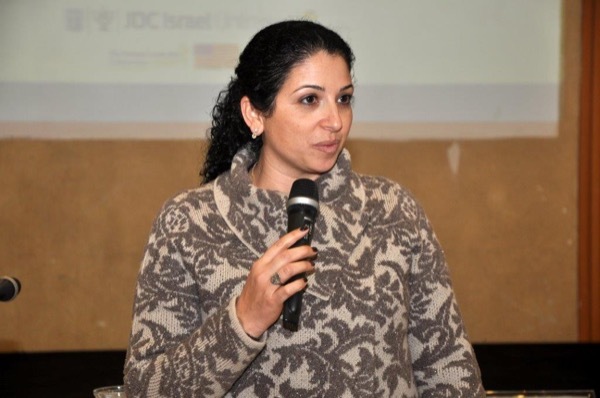 Given the complex nature of these issues, the NLCDD staff members have established a plan for ongoing dialogue and technical assistance with the Israel leaders. They will continue to follow up with participants to document significant changes as well as offer support, guidance and resources to overcome barriers to transforming Israeli services and supports. 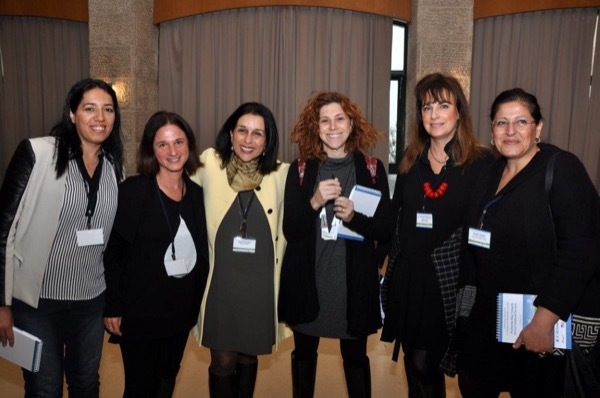 The conference was sponsored by Israel Unlimited  a partnership between the American Jewish Joint Distribution Committee (JDC) in Israel, the Ruderman Family Foundation, and the Israeli government  collaborating with the Ted Arison Family Foundation and the U.S. Embassy in Israel. Its goal was to foster cooperation between the U.S., Israel and Jewish communities worldwide by providing top-level training to Israel’s senior professionals in the government, leaders with disabilities, local municipalities, and disabilities NGOs to increase accessibility and the inclusion of people with disabilities in all aspects of society. The National Leadership Consortium on Developmental Disabilities is a program within the University of Delaware’s Department of Human Development and Family Studies. In 2013, it established the Jewish Leadership Institute for Disabilities and Inclusion through a grant from the Ruderman Family Foundation.